Back in town for homecoming weekend and being featured at the FSU game Sunday, Jerald did a great interview. Is it weird to say I'm really proud of him for this interview? I knew him when he was the 18 year old kid he references, and haven't really been in touch other than being Facebook friends. It's great to see him, for lack of a better term, "all grown up". Some great reminiscing of stuff from my days but also really nice to hear what he's doing now (at the end). 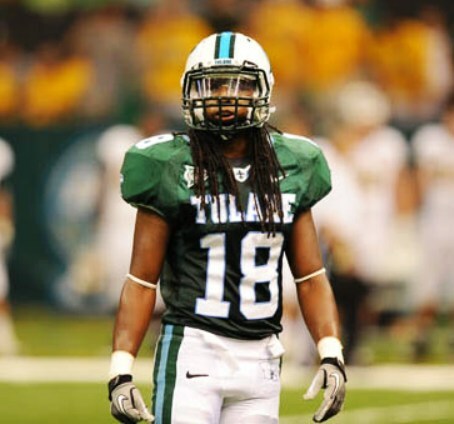 And he says what I have always said- the best teams for Tulane was getting local talent!! Wake up MD and start getting the best local talent. Great interview and nice to see him doing great things in his life after basketball.